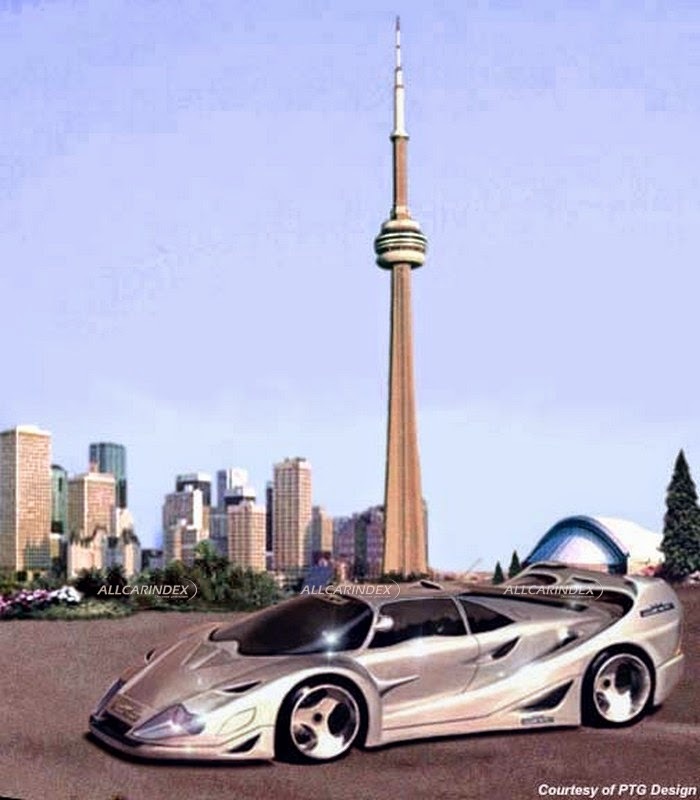 The turn of the century and millennium was a very special period of time considering the number of new sophisticated super automobiles created to mark this occasion. 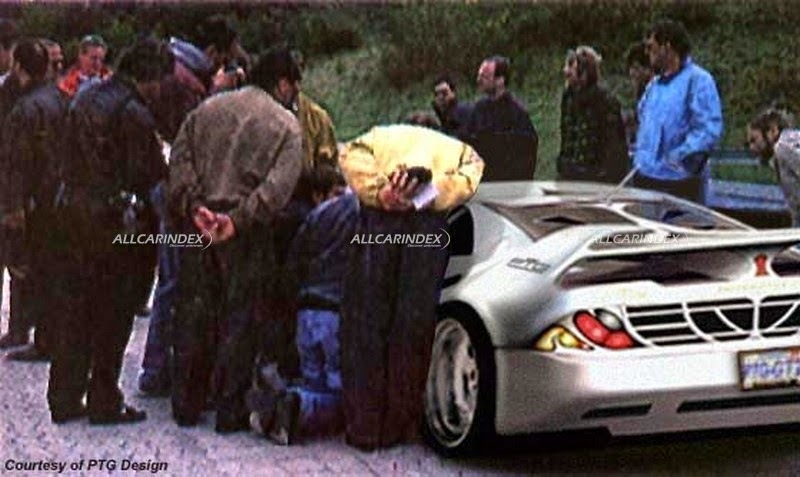 Many companies and small teams had an objective to create the most powerful, fastest, refined and exclusive car. This was the perfect time to appear for such amazing and forgotten designs like B. Engineering Edonis, Lotec Sirius, Ascari Ecosse and of course, Bugatti Veyron. 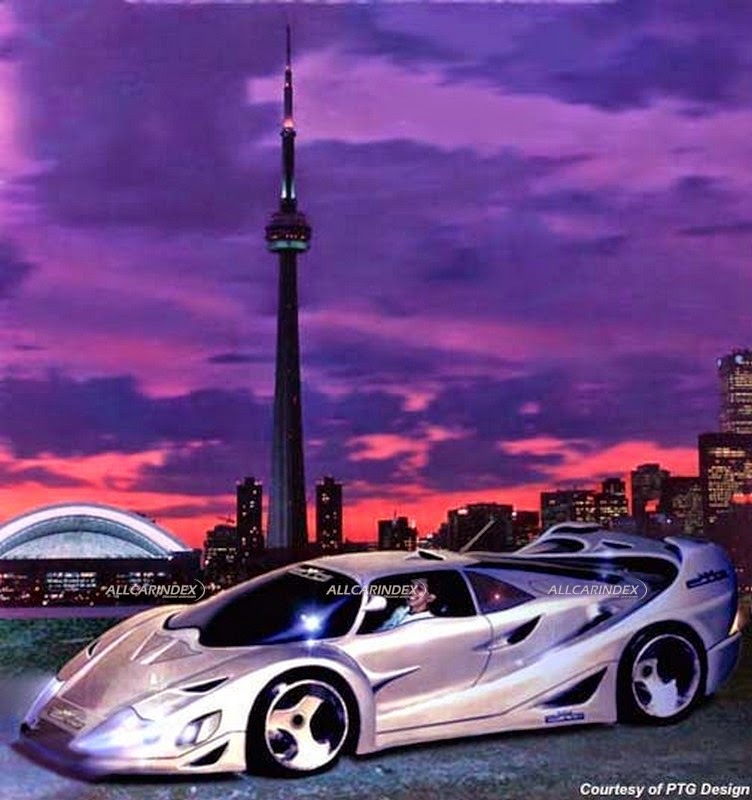 However, one of them was so much futuristic and incredible that it caused quite a stir back then. Nevertheless, it is now completely forgotten like many of its contemporaries. Let’s turn the time 16 year back to slightly cover a veil of mystery. 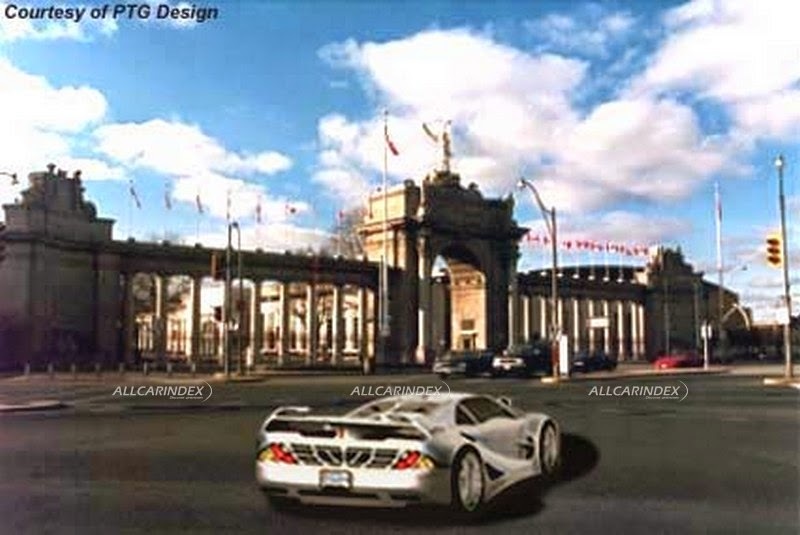 Surely, there was no such advanced CAD technologies in 1999 that we have today. Designing and building the car from scratch was a time-consuming activity requiring much planning. Also, it was the ideal time for all the craziest ideas to be turn into reality. 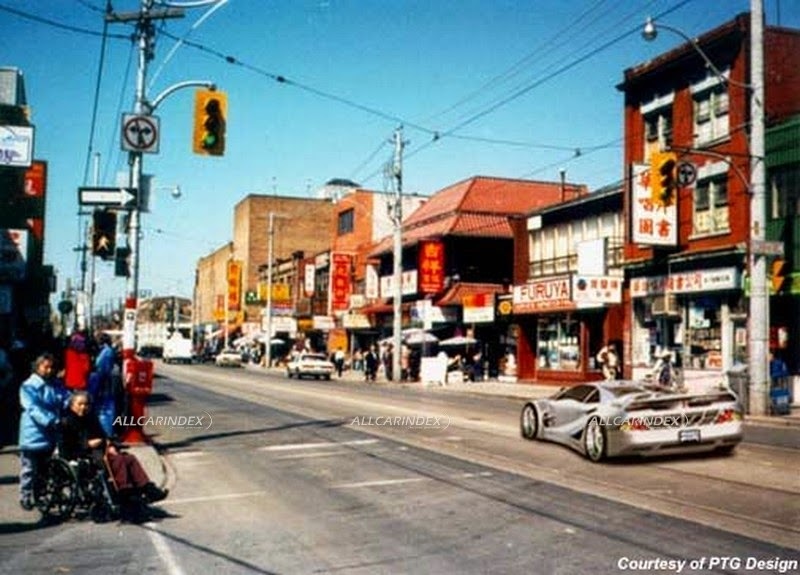 Or not..
PTG's goal was to build a “better, safer, faster, efficient, functional, unique supercar of the future”. Moreover, the PTG applied trite phrase “form follows function” for its designs. 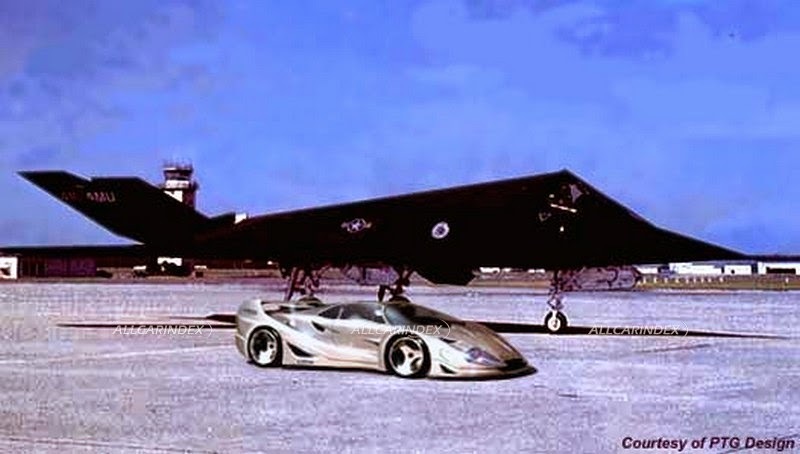 They turned their attention to safety, ergonomics, control, performance, aerodynamics, efficiency, stability, durablity, and speed… The list goes on but we stop here. In addition to that, this “state-of-the-art” studio was also very much concerned about the environment of the future. They even claimed the fact having built “new alternative power source for its new car engines, as PTG's new latest technological breakthrough invention”. It’s time for more detail here. 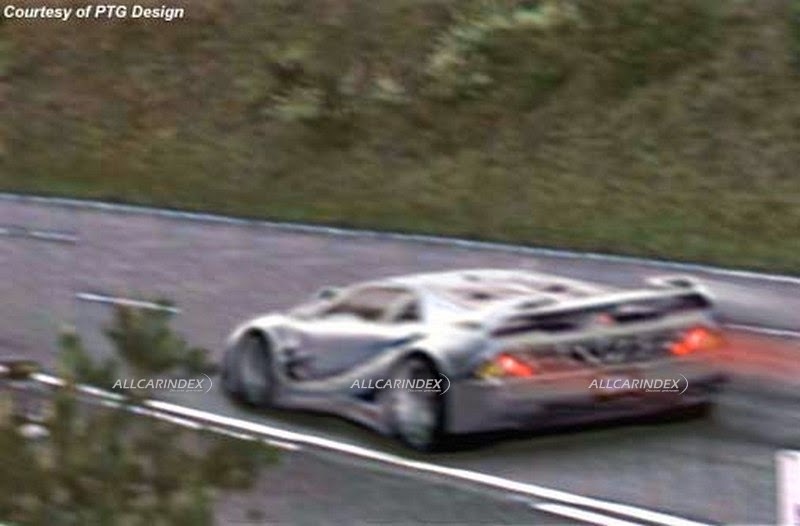 One of the most tricky question regarding this imaginary supercar is its name. At this the moment it is hard to determine the origins of it since this has never been clearly explained, but according to the period information its name is some kind of combination of words “Exciting, Exhilarating, Exotic”. 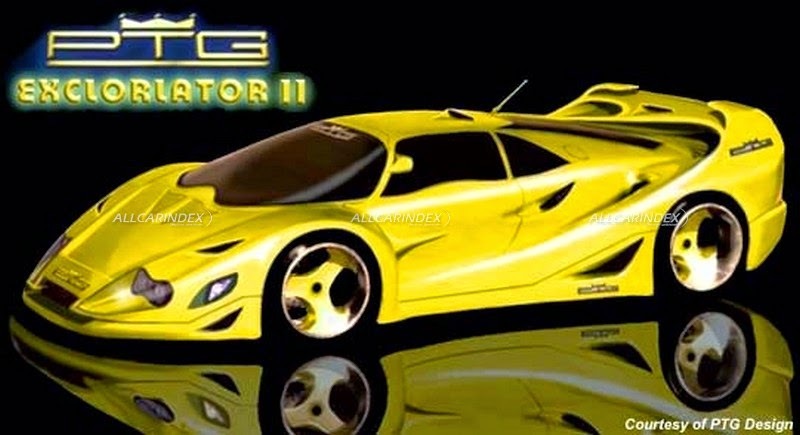 The PTG supercar was designed to fit into very rich palette of supercars then. 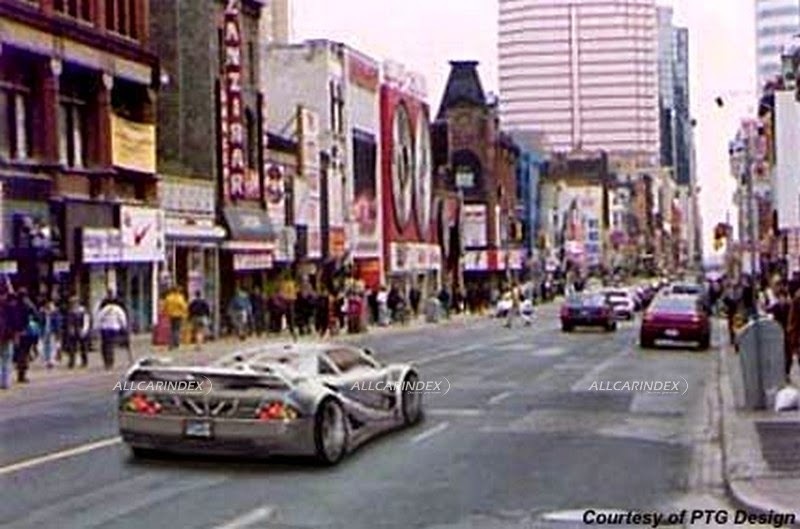 Among its “competitors” were mentioned Jaguar XJ220, Ferrari F50, Lamborghini Diablo, McLaren F1, Porsche 911 GT1..
- alternative energy source instead of a traditional polluting gasoline fuel, as a new efficient source of clean air power for its new engines, that will revolutionize the automotive world! Voilà! We’re just missing flowers, champagne and fireworks here! 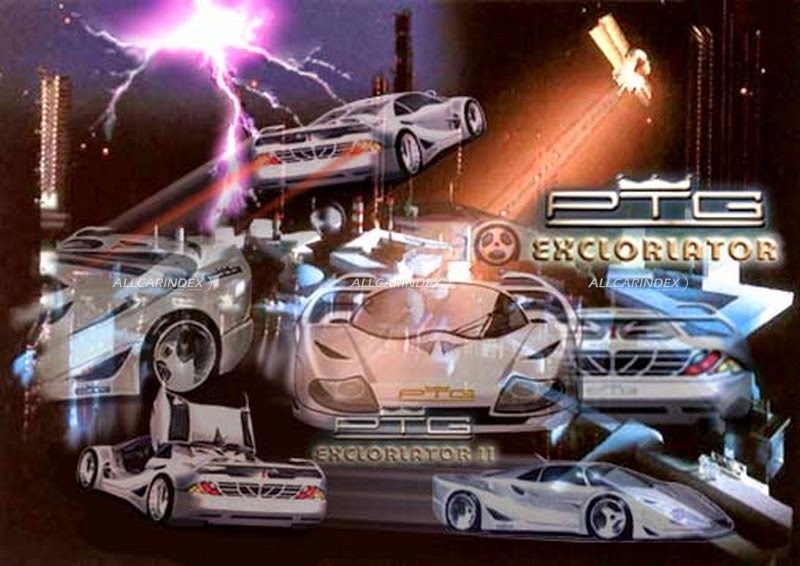 Regarding the interior of the car, PTG also had brilliant and much striking ideas to demonstrate! 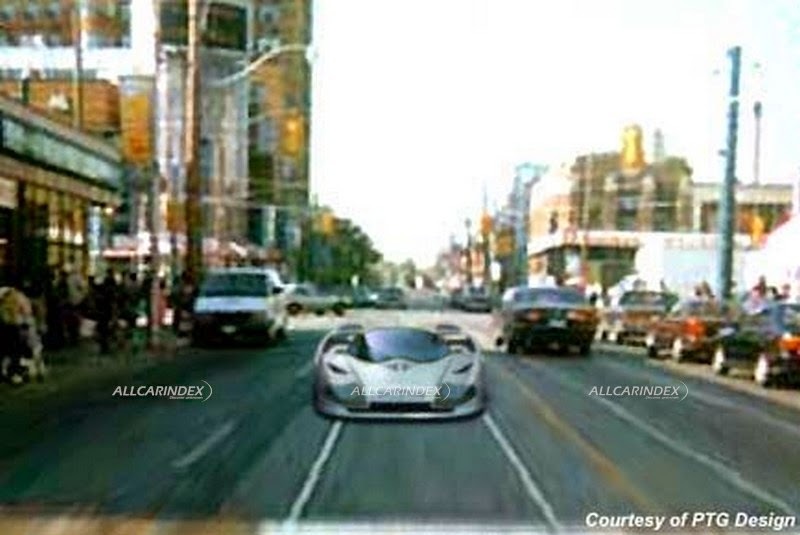 The car was supposed to have joystick steering located on the centre instead of the steering wheel. Its purpose was to act as both a steering device, a secondary braking device and gear switching using locked buttons. This joystick steering was a similar system derived from an advanced aircraft technology. 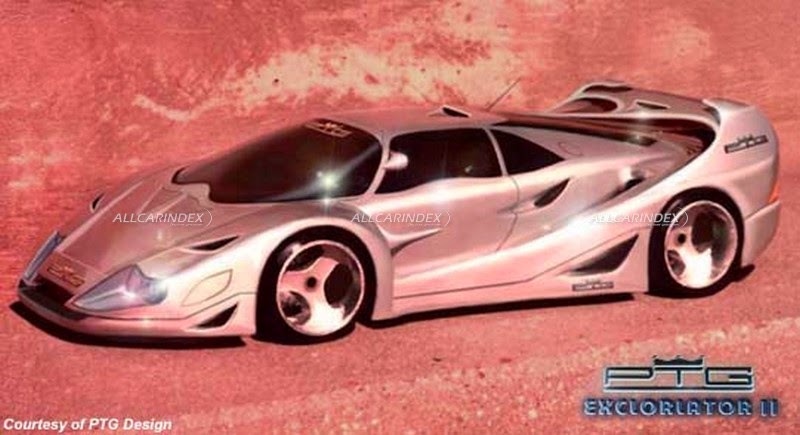 All this fantasy-world-derived supercar project must have been an astonishing attempt to design and make something that the world had never seen before. 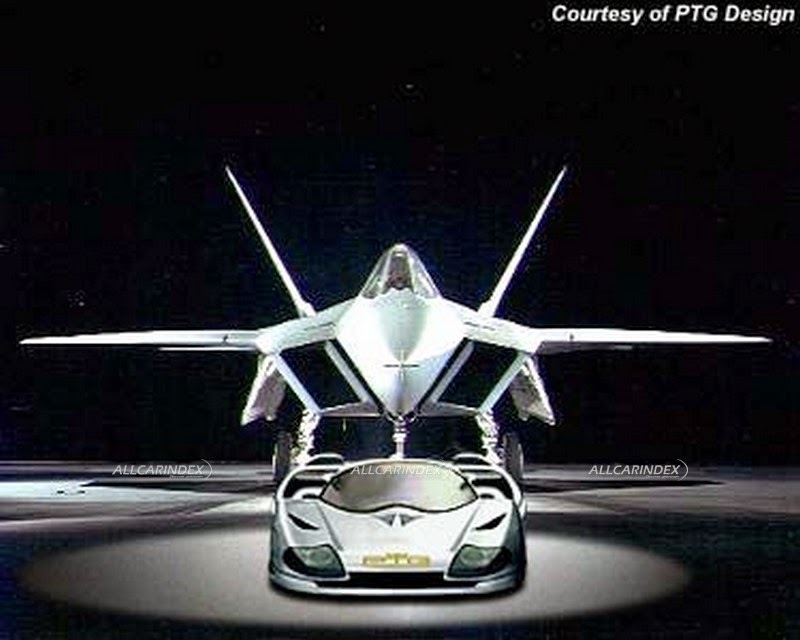 It was even conceived that the PTG’s car will be easily convertible to Formula 1 car in just 10 seconds!! Finally, the endless list of amazing features is concluded with the technology allowing to change bodywork color with ease! “This amazing interchangable bi-paint invention is what we like to call it, an "Ultimate Magic Paint". 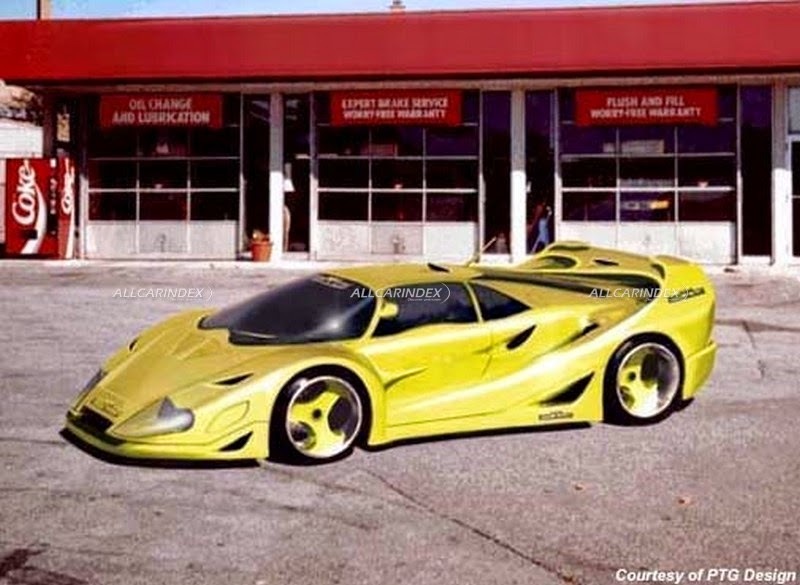 What PTG has official issued for public viewing of their “TOP SECRET” (once again quoting their words..) project is just several “photographs” of its new supercar. 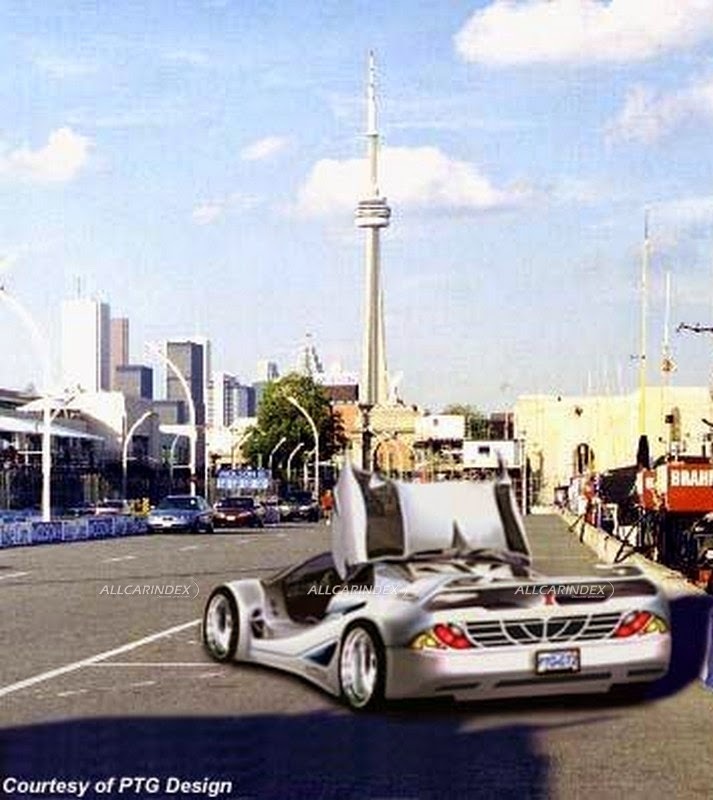 One may believed that this was a real deal in 1999, but obviously all these images were just either photoshoped renderings or a real photographs of the real scale model. Anyhow, the latter one is maximum stage that this rocket scientific project could have reached. 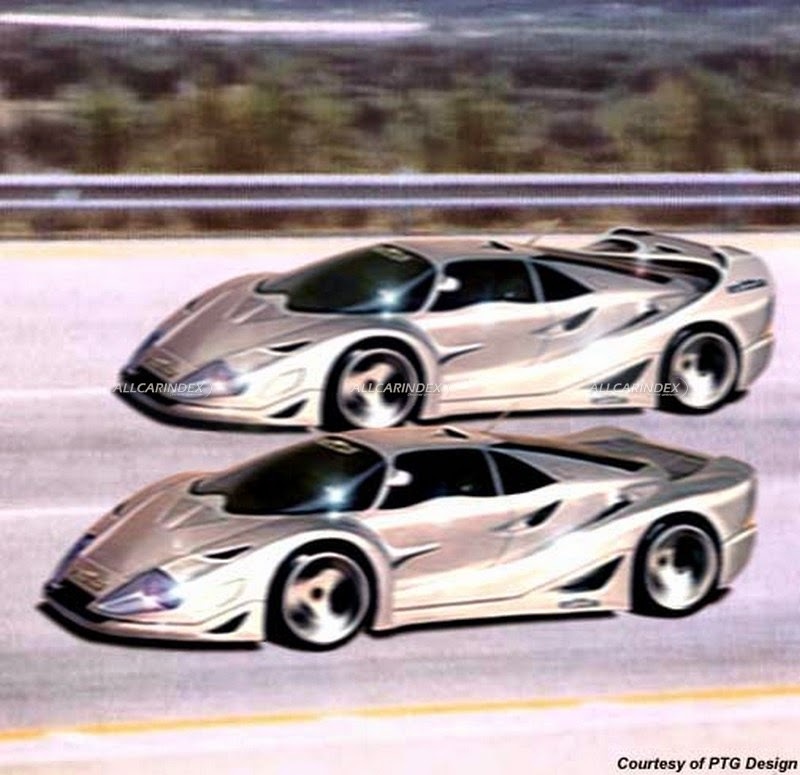 Some say that two of three examples of the car have been built… There may have been several naïve believers living in their own fantasy world where PTG Exclorlator has been created but has never been taken into reality.. 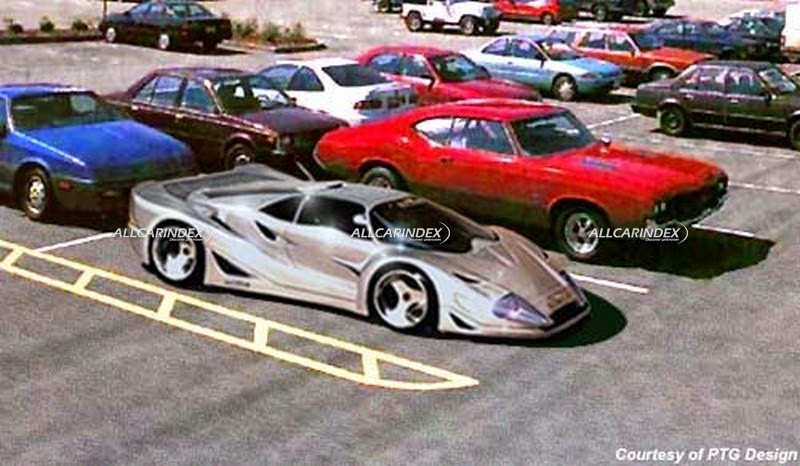 TEXT: www.allcarindex.com and PTG Design, Inc.